heartmade.es | Are you making these 5 mistakes in your website? 16 Mar Are you making these 5 mistakes in your website? Discover how to solve them! 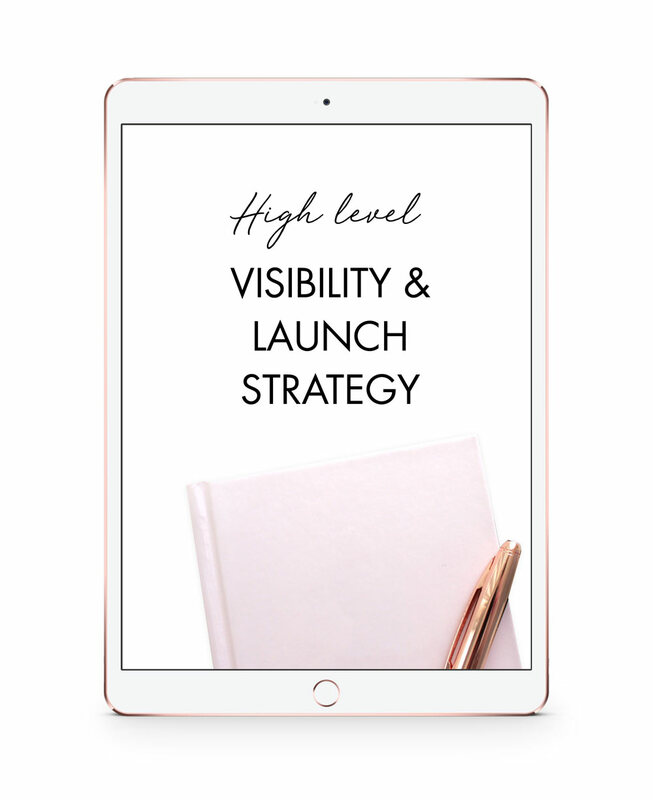 I am the first one to encourage anyone to have a website for his business, but choosing a quick and easy set up for your website can be killing your online chances. If you don’t have help from a professional developer, there are big chances to be making some common mistakes in your website. I’ve seen many people doing them, but the good news are that they are easy to solve or avoid! And that’s why I decided to write about this today: because I know that if you care about your business, you want to have a website that benefits it. 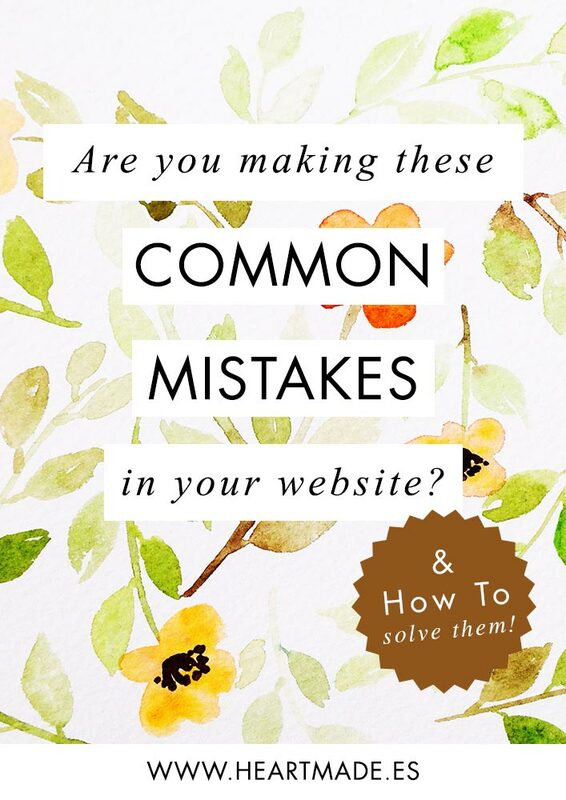 So with no further introduction, let’s deep into them and see if you are making these common 5 mistakes in your website and how to solve them. The first mistake I see is about tracking codes. Nowadays there are plenty of platforms where you can create your own website without knowing anything about design or coding. That can be risky, specially if you forget one of the main goals of your website: to connect with your audience. Did you know that studies say that we don’t remember a brand until the 7th time we hear or see about it? Imagine what happens when someone lands in your website, check it and goes. This person will probably never come back again. But we have an amazing solution for it! It’s called retargeting, and it means to create a marketing campaign to remember those visitors of our existence. We can do it with advertising (google Adwords, Facebook Ads…) but it’s impossible to do retargeting without the appropriate codes. So, even if you are not right now in a stage of investing in marketing & payed advertising, you want to start keeping data for the future. To do so, I encourage you to install at least these two codes: the Google Analytics code and the Facebook Pixel. 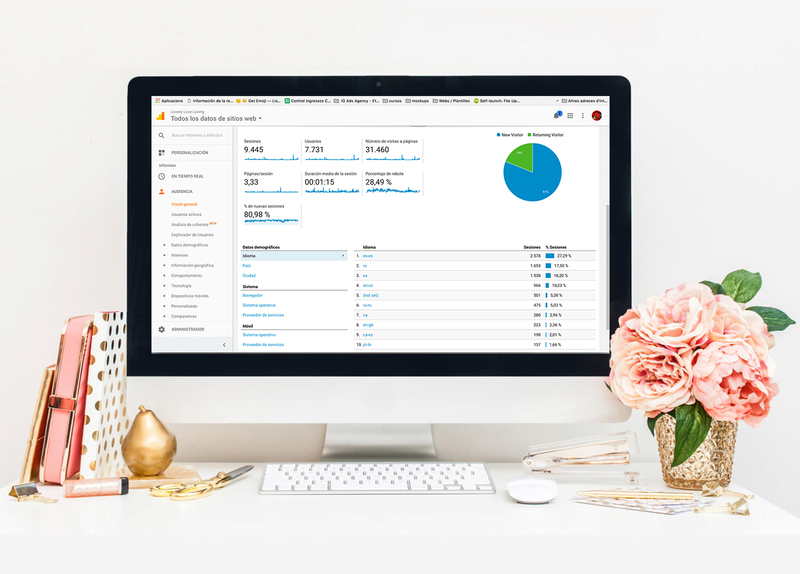 With Google Analytics you can track your visitors, have access to the reports anytime you want and create custom audiences from there, which you can later use in Google Adwords to create specific campaigns targeted only to these people. In marketing, we call a group of people “audience” and in this case, it’s a “warm audience” because they have already heard about your brand / website before. The Facebook pixel is a little bit different, but its purpose is the same. It connects with Facebook and recognizes your website visitors. With it you can again create a campaign targeted to these people, but also create new groups of people similar to your visitors. Facebook finds what all these people have in common and searches for new people with the same characteristics. Like this, you can have a new “cold audience” (because they have never heart about you before) but with big chances of them liking you (because they are similar to people who already showed interested in what you offer). So, how do I install Google Analytics to my website? And how do I install the Facebook Pixel in my website? The next mistake I see many websites doing is forgetting about spreading the word. Launching a website and sitting waiting for visitors is the worse thing you can do. There are thousands or millions (I don’t really know the numbers) of new websites every day. We can’t rely only in search engines to show our website to potential customers. We need to help them as much as we can. The first thing I recommend you to do is to share your website link everywhere. Also, if you want to rank faster in search engines such as Google, is better to list your new website into their directories. We can wait until they index it alone, but is faster and better to do it manually. You need to have a sitemap from your website and index them into the search engines. This mistake is about marketing, about strategy. As I commented before, my worries about platforms that offer the possibility to create websites without knowing about design or coding go beyond losing potential clients. Actually, I’m not worried at all about clients because I don’t want clients who don’t understand that the work of a web designer and developer is much more than just clicking and creating new things. When I work on new websites I think about their goals, I draw a strategy and I design everything for it. I don’t like just picking a template that fits the design my client needs. If there’s enough budget I create the design and the code from scratch and I do it because like that I know everything will be set up to convert. You don’t want just a pretty website that does not convert your visitors into potential customers. You want a marketing strategy, you want a sales machine! Visit right now your website and think like if you were a new visitor. When do you close it? If it’s difficult for you to put yourself into your ideal client’s mind, ask someone else to take 2 minutes to do it for you and explain you what they see and think. Now think what do you really wish your visitors were doing. Where do you want them to click? There you need to add a Call to Action, which is a direct message like “Click here now” that pushes them to do exactly what you want. It’s super important to design websites having in mind clear CTA (Call to Actions) because that’s what will make the difference between having a bouncing rate of 60% or 20%. In relation to the previous mistake, I see many websites not capturing emails or doing it wrong. Social media is fine, having followers is fun and gets lots of motivation, but we all saw what happened with Facebook Pages. Social Media platforms can change their algorithm at any time, and we automatically loose all our chances to connect again with those people. Email, instead, is always there. It’s difficult that people close an email account, so having subscribers to an email list and connecting with them regularly is something that you MUST DO. Now, how do you have a good email subscription list? First you need to give instead of asking. Don’t just say “join my newsletter”. Nobody wants to share his precious email just to hear news about your business or promotions. Instead, think what can help them. Try to create a digital file that they can download for free in exchange of their email, or offer a discount to your shop, or maybe a free course like I do with “Find Your Own Success”. You will not only increase your subscribers quickly, but it will also help you stand out because you are giving something useful for free. – In a popup (only in desktops, forget about mobile because since February 2017 Google started punishing websites who have popups in small screens). Last but not least, SEO! Websites that are not made by developers tend to make this common mistake. SEO is something that you need to take care since your website’s first minute of life. There are some codes that you just set up once in your homepage and forget about them (called meta). But you need to continuously be thinking about SEO in each new content you create. The biggest mistake I see is about pictures. That’s why a while ago I shared my tips to have good SEO in images. As always, I’m happy to answer any questions you may have here in the comments section.